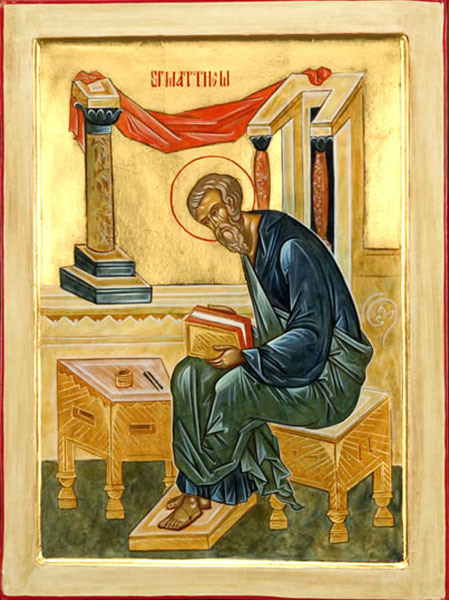 September 21st is the feast of St Matthew, and so I offer this as the latest in my running series on the images of the Saints named in the Roman Canon. 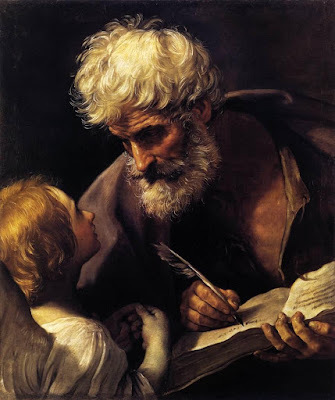 St Matthew often has a long, wavy, white beard and close-cropped hair, and as a writer of a Gospel holds a book. He may sometimes be shown with a winged man, the symbol most commonly (though not always!) associated with his Gospel, and with Lady Wisdom or an angel whispering the words into his ears. 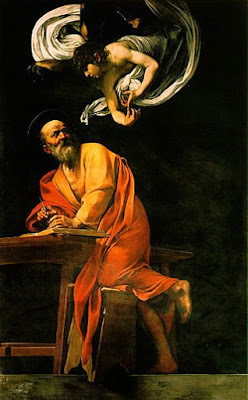 The painting below in the baroque style is by Guido Reni, 1635-40. Below are two iconographic representations, the first a modern icon in the Eastern style. The second is in the Western style of the Lindisfarne Gospels. 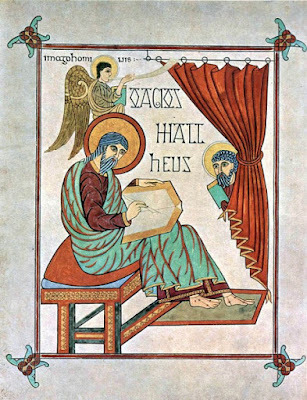 I have written here in more detail about this style (and here, I discuss why the figure peeping out from behind the curtain might be St Luke). 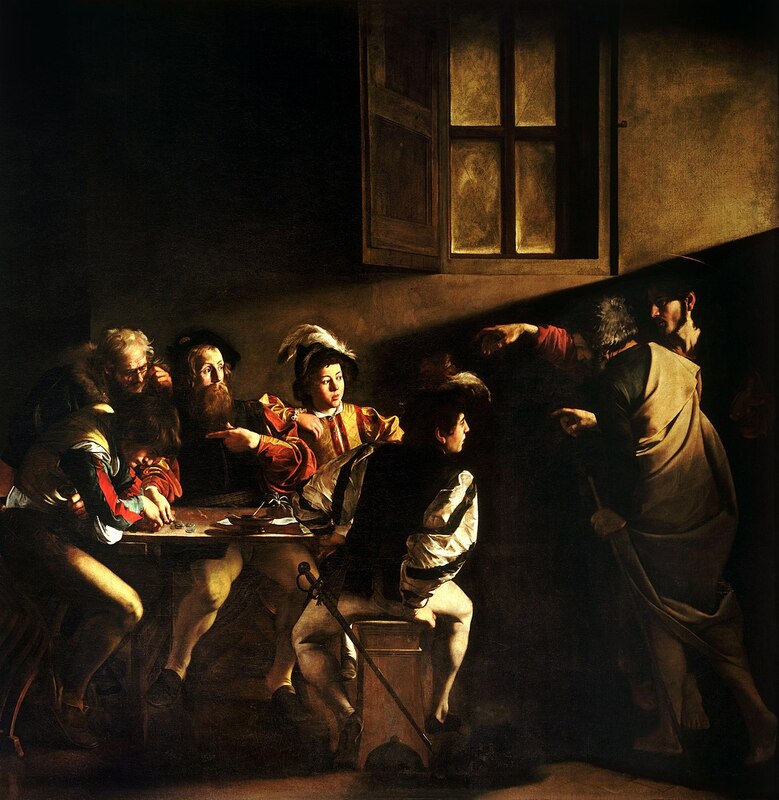 There is a dispute over which one of the people at the table is St Matthew, although Wikipedia (the font of all knowledge) veers towards the idea that it is the bearded man in the middle pointing to himself. 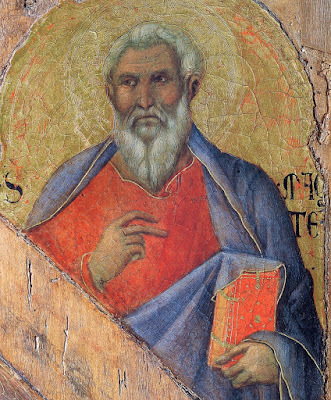 Although not yet gray-haired, this does connect it (with his beard and curly hair) with other portrayals. 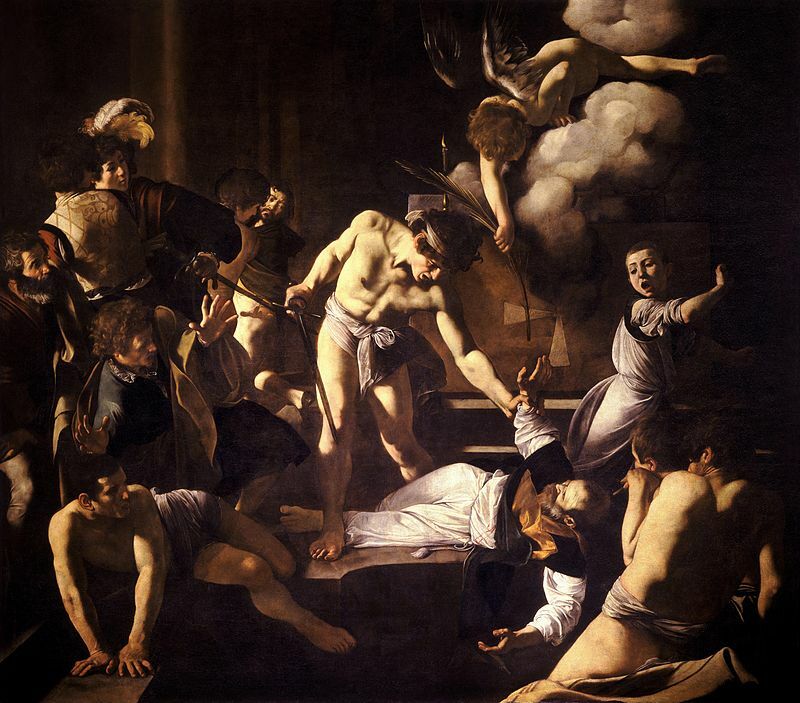 This painting is one of a series of three hanging in San Luis de Francesi in Rome. The others are the Inspiration of St Matthew, which is similar to the Reni above, and the Martyrdom of St Matthew. You can read about his life in the Catholic Encyclopedia, here.